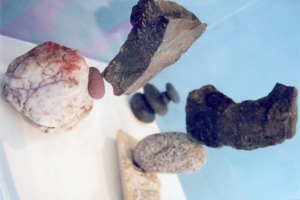 Surprisingly, smaller rocks and stones are much more difficult to balance than larger ones. These "bonsai" balances (suiseki - "viewing stones" - would probably be a better term) do not have the inertia that a larger mass gives, and are often easily toppled by a heavy footstep or even the light breeze from someone passing by. 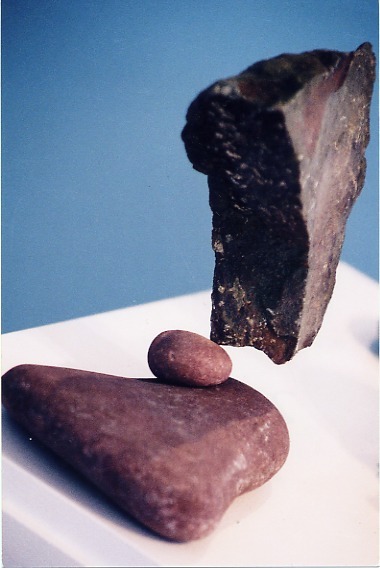 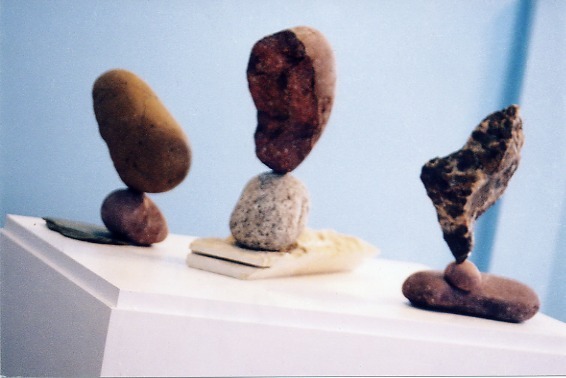 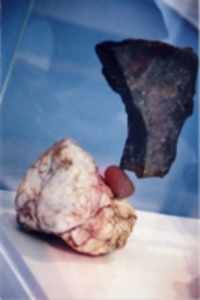 Even small balanced rocks such as these will "remain at rest" if undisturbed, as Newton's 1st Law of Motion describes. 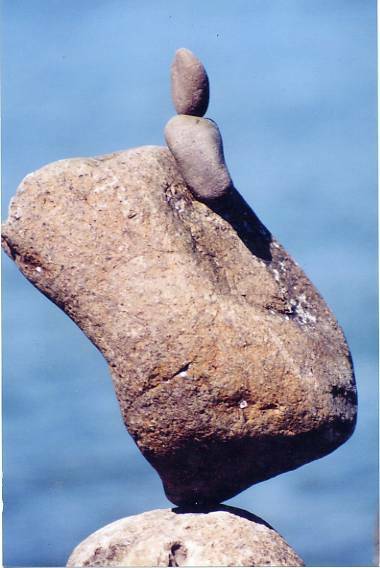 Their diminutive size allows for unusual camera angles of the sort Bill enjoys for his rock balancing home videos - DVDs in progress!